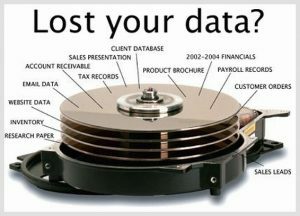 Data loss is very expensive especially after spending much time on your projects. It is important to back up files found in your website. This is because hard drives can crush. Files can be modified or deleted accidentally. There are many other things that can happen to a web site apart from file deletion. All websites are vulnerable to hacking. This is associated with malware attacks, data theft and data loss. Information that is not backed up is unrecoverable when lost. This causes a lot of inconveniences. Website backup provides a sense of security. You need to be serious about backing up especially if you are a WordPress user. You need to have a fresh backup all time if you want to run a successful website. Most people assume that everything is okay. They also find the process to be time consuming. Website threats are real. You can lose everything in case anything goes wrong. These are one of the most fragile computer parts. They breakdown more often than any other computing device. There is no guarantee of data recovery in case you have serious hard drive problems. Apart from dying naturally, they may also have manufacturing defects. The need to store more and more data might cause the hard drive to fail. They also get damaged when computers are accidentally dropped. Regular website backup are very helpful in case of hardware troubles. You will have the opportunity to obtain the latest work version from safe storage and continue using it. WordPress is the most used content management system. This makes it the main target for hacking and spamming. There is always a risk of a malicious script injecting a malware or virus in your website. This happens even with the provision of a security plug in for your website. Hackers overwrite your content with their own code. This allows them to manipulate your website like using it to sends spam emails. This will cause your server to be blacklisted by spam monitors. All the emails form your website will never be received. This calls for point of restoration which is provided by backed up files. These can find a way into your website even via third parties that are normally safe. 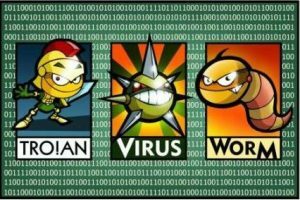 Viruses, Trojan horses and other malware assert the importance of backup. These can be downloaded accidentally with a plugin or even through an open firewall. These can cause you website to start acting weird. Backing up ensures the safety of your important files. The level of experience of both you and your employees does not matter; mistakes happen. You can overwrite or delete the wrong files. This is highly caused by exhaustion and fatigue while working. A simple MySQL command with a small error might cause data to be updated wrongly. Backing up your files provides a better point of redemption. Most companies provides a website backup service for your website which allows you to get a copy of the last working version. But shared hosting plans don’t always offer this feature. This is due to presence of many websites on one server. It is dangerous to depend on WordPress back up. These companies sometimes suffer power outages, drive failures and more. It is important to back up your own files in case of hacking, malware attacks, hardware failures, wrong updates, and erroneous deletions. Embrace your mistakes and expect any foreign uncertainties. You can back up your files manually using content management systems or use an additional backup service. You can install plugins that provide backup schedules to cloud services like Dropbox. You can even compress them in a zip file and email them to yourself. Be smart and back up your files regularly. We at BlueAngelHost offers website backup service with every shared hosting plan. Check out our plans and protect your sites.